Channeling is an altered state of consciousness that allows one to connect to intelligences beyond the physical realm. The reality is that anyone can channel and people do this all the time. They just may not be fully conscious of the depths of their "channeling" experiences. All of us ente r into altered states of consciousness on a daily basis. When we are caught up in a daydream, meditating, praying, or when we enter into a creative zone through drawing, painting, singing, writing, or inventing something new, our brainwaves change. 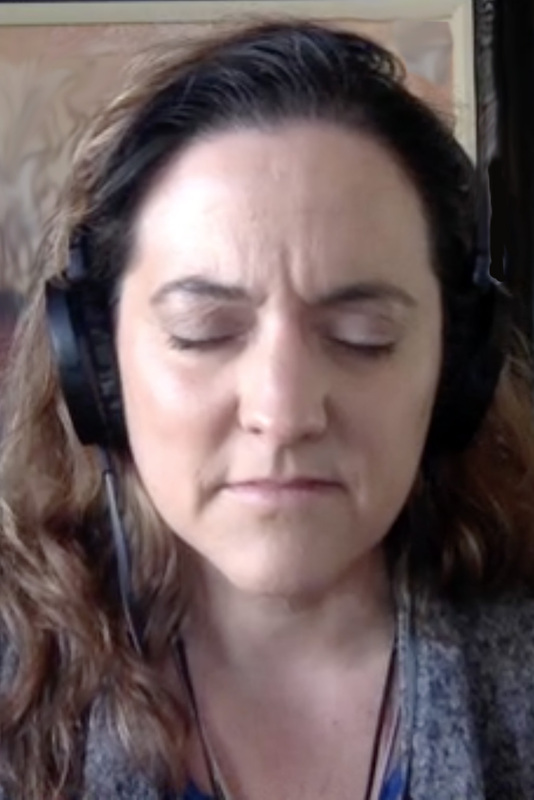 When we feel calm, blissful, creative, and insightful, there is a simultaneous and measurable increase in delta and theta brainwave activity whenever we enter into these altered states of consciousness. Once we are comfortable with the idea of getting out of the way of ourself and learn to "observe" our inner critic, avoid passing judgements of our experiences, and disengage in the negative self talk, something magical happens! We will open up the gate that allows us to receive expanded wisdom and information in its raw form. This comes effortlessly to us through these altered states of consciousness, allowing us to use MORE of our brain's resources instead of less. Operating from this state of consciousness is nothing new and this has actually been part of the majority of human conscsiousess throughout history. Aboriginal and tribal societies received information about plant medicine and cultural practices from their spirit guides. Shamen and channelers are essentially doing the same thing in that they both work in the spirital realm to retrieve inforamtion from other intelligences. Westernized society simply lost the understanding that receiving information in these ways is quite 'normal' and not something that is paranormal at all. Connecting through the channeling process was replaced with the introduction of literacy, writing, and arithmetic. This relied more on left-brain processes so this became the dominate method for receiving and interpretting information, whereas receiving expanded wisdom through the right-brain took a back-seat as we became more industrialized in our westernized culture. Channeling is making a comeback today. More and more mediums like John Edward and James Van Praagh are coming forward with their abilities to interpret information given from deceased love ones. This has helped others during the grief process by bridging the connection between life and death, so those who don't have the enhanced clairaudient or clairvoyant abilities can stay connected to their loved ones after they have passed. Other people are experiencing direct communication with particular angelic beings, collective groups of beings, spirit guides, or extraterrestrial beings, and have relayed information from those experiences that are other-worldly in nature. Receiving information in these ways has been transformative and has had a profound influence on the arts and sciences. Many people who have written best selling books, wrote screenplays that resulted in best selling films, and musicians whose music made it to the top of the charts, describe their experience as though it was a channeling experience:. They describe their experience as though the music moved through them and did not come from them. Authors have reported that their books or screenplays seemed to write themselves or they felt they had a muse working along side them. Some books are more revealing of the channeling experience than others such as the book "The Link" as well as Jane Robert's 1972 best-selling book, "Seth Speaks." Breakthroughs about the nature of consciousness, spiritual truths, and multidimensionality pertaining to parallel universes and the vastness of time has been discovered through these channeling experiences. Another prominent channeler in the 1980s and 1990s was actress Shirley MacLaine, who wrote a best-selling book and a popular television episode on the subject. Scientific breakthroughs and inventions more often than not, have appeared to people in dreams or in altered states of consciousness. Grant Cameron has done some extensive research in his book called, "Inspired: The Paranormal World Of Creativity", which takes the reader through stories of where many of the great creations of the world really came from, and what non-human intelligences seem to live in the world that supplies the ideas and inventions. Some creative states that are explored include, inspirations in music including dreams and spontaneous composition, inspirations by serendipity which questions a random world view, and even inspirations that were the source for many Nobel Prize ideas. Regardless of whether you believe in the channeling experience or not, if the information is beneficial to you and resonating and if it helps you reach a greater potential within yourself, whether through your own channeling experience or tapping into another channeler's abilities, then that should be all that matters. Channeling is more about the message than it is about the messenger. Although it would be nice to fully understand how an unseen world can be so influential and that we are able to share information with one another from somewhere beyond, the most important thing is whether or not the information is helpful. If it is helpful then it doesn't really matter where the information is coming from. Some things are meant for us to discover on our own and in our own time. The greatest mysteries today become our biggest accomplishments tomorrow. Kendra has been channeling Melody since 2012 and through this partnership, they have helped other people transform their struggles and obstacles into life-changing breakthroughs. Talking one-on-one with Melody can help you find the path of least resistance that will give you the greatest happiness, bring more peace in your life, and show you the way to having greater prosperity and abundance in your life. Melody can help you see things from a broader, 5th Dimensional birds-eye perspective, which can awaken your soul's memories, activate dormant DNA, and connect you with your higher self and timelines that you may or may not be aware of that can help you lead the life you were meant to live. Melody's wisdom provides the bridge to help us move past any limitations and perceived lack, while opening us all to a greater understanding about how to live more gratifying and satisfying lives. Schedule your own channeling session with Melody here.